Why use SV100 High Build Epoxy? 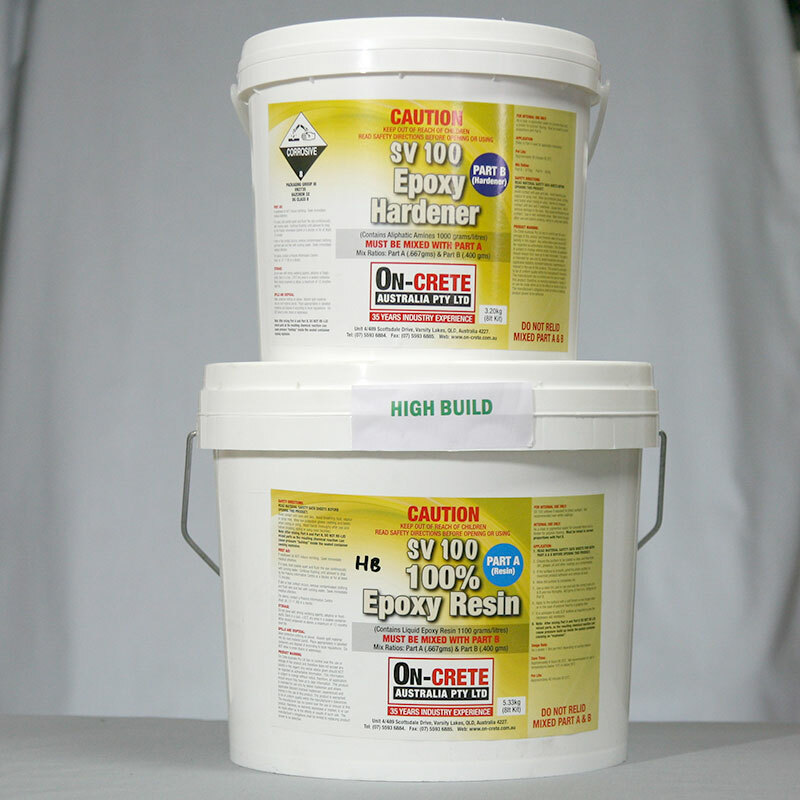 SV100 High Build Epoxy is a 100% solids two pack epoxy system free from solvent and water. It is of a higher viscosity than SV100 Standard Epoxy and is more commonly used as a base coat in polymer flake chip flooring. The SV100 High Build Epoxy has greater levelling properties than the SV100 Standard Epoxy. It can be used as a pigmented coating for concrete floors or as a binder for high build sand filled epoxy floor coatings 2-6mm thick. Use SV100 High Build Epoxy in food processing industries or for garage or workshop floors, etc. Also, use SV100 where a high chemical resistant floor coating is required.